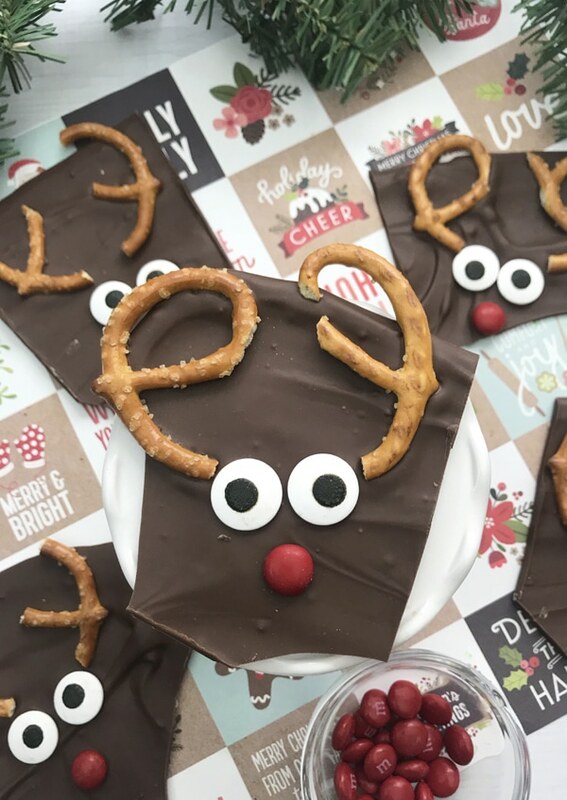 Make this fun and easy Reindeer Bark with the kids this holiday! Before you know it, the holidays will be upon us! It’s getting closer and closer and we can’t even believe how fast the year has went by. And of course, with the holidays, comes lots of cooking and baking. Especially yummy treats like this Christmas Candy Bark! When it comes to doing Christmas cooking and baking with the kids, it doesn’t get any better than this great Reindeer Bark Recipe! 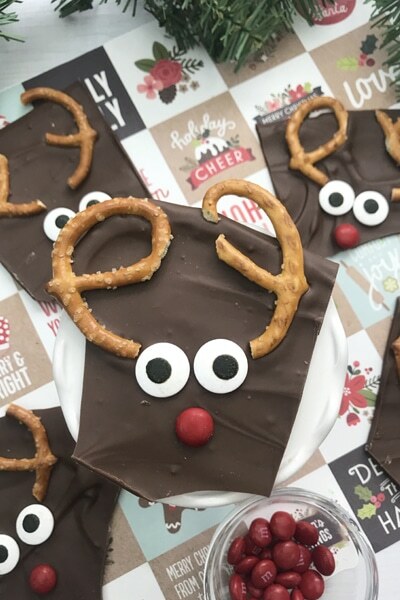 This adorable Reindeer Bark is so simple to make. 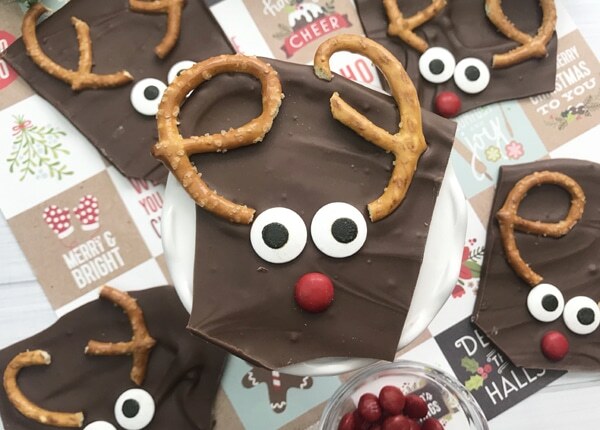 The kids will love to be in on the fun and before you know it, you can all make this Reindeer Bark Recipe together for the holidays! One thing we love about this great Reindeer Bark Recipe is how easy it is to make. Not only that, but the ingredients are simple to pick up and you won’t have to worry about shopping at multiple stores just to get what you need! Below are a list of the yummy ingredients you will need to pull together before starting on this fun cooking adventure with the kiddos! Once you get your ingredients all lined up, it’s time to get to the fun part! Gather the kiddos around and get ready to make your yummy Reindeer Bark! We promise they are going to have a fun time helping you out and it’s a great recipe to make that’s doesn’t get too messy. We want to make this easy for not just the kiddos, but the parents, too! As you may have seen, making this fun Christmas Bark Recipe is going to be a quick and easy process that everyone will have a blast helping out with! Line a large baking sheet with wax paper. This is going to make things so much easier to pull apart later when the Reindeer Bark is cooled and it’s time to start breaking the chocolate apart. And it keeps things super clean at the end of the day, as well! Next, take your 12 oz package of Wilton Chocolate Candy Melts and melt it in the microwave. Make sure you use a microwave-safe dish to keep yourself and your appliance safe! Heat in the microwave in 30 second increments, stirring occasionally until the candy is completely melted. 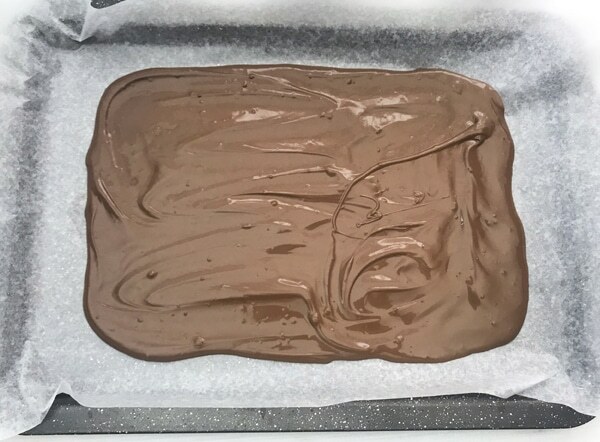 Now that you have completely melted chocolate, it’s time to spread it out evenly on the prepared baking sheet that you have lined with wax paper. To make things even easier, make sure to use a large spoon or spatula to spread the chocolate evenly to about 1/4″ thickness. Now comes the fun part that the kids will more than likely enjoy the most! Decorating! Because let’s face it. This is the main reason the kids really want to be involved in the creation of the Reindeer Bark, right?! 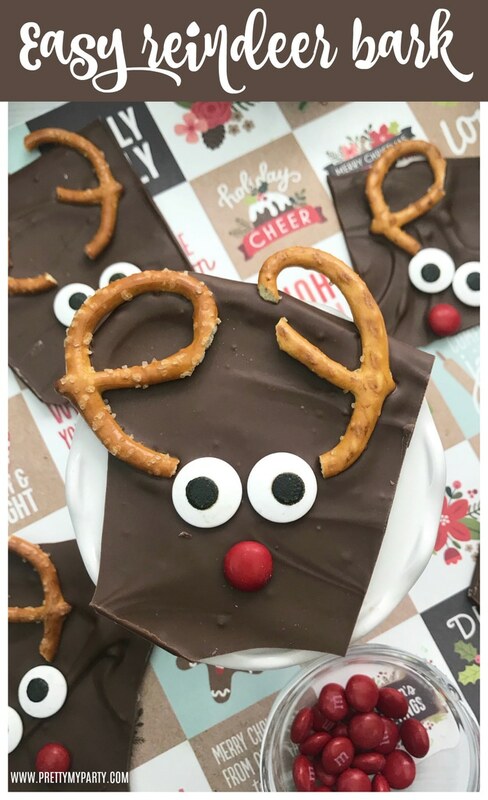 Now that you have spread out the chocolate on the baking sheet evenly, it’s time to start decorating the soon-to-be Reindeer Bark with reindeer! 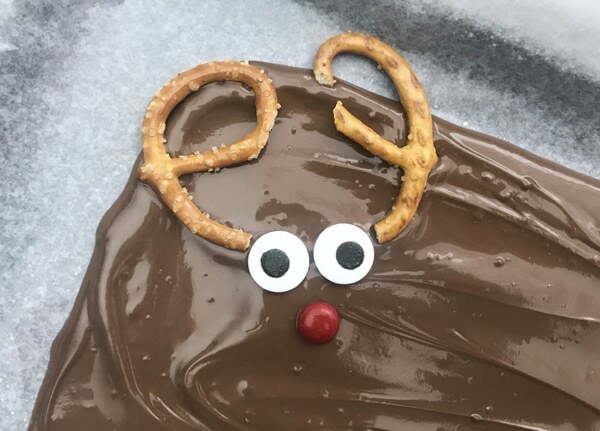 Use the large candy eyes, red M&M’s and 2 pretzel twist halves to form the ‘reindeer’ in the melted chocolate. 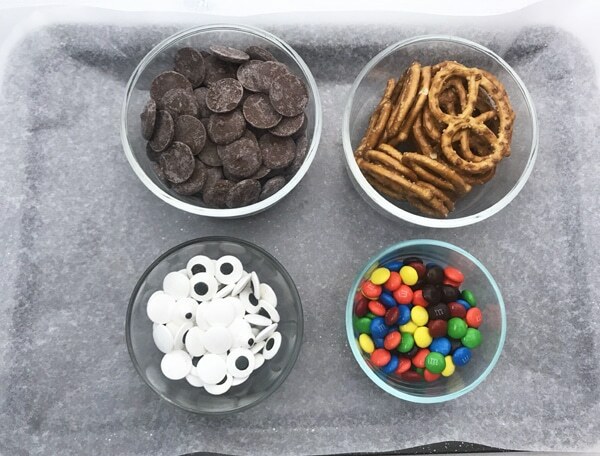 You will want to make sure you don’t wait too long, since it will be easier for the candy and pretzels to set with the chocolate still melted and pliable. This is where you can let the kids get as creative as they want with how they want to create their own special reindeer. You may even want to break up all of the pretzels ahead of time for the kids to use, to make it a little easier for those small hands to decorate the ‘horns’ with. It will be much quicker and less messy to create them ahead of time, too! Once you have created all of the Reindeer Bark, you will want to allow the chocolate and candy to fully set. You may even want to put the baking sheet into the refrigerator to let the candy set even faster. Finally, when the chocolate is cooled and everything is hardened to perfection, gently break apart the reindeer to create your finished Christmas Candy Bark! This may be a job for an adult to perform, so all of your reindeer make it in one piece and don’t end up broken all over. But make sure you keep a few pieces off to the side to taste test! Another thing we love about this fun Christmas Bark Recipe? It makes for a great and simple gift for all of the people that deserve a little love this holiday season. Simply wrap it up in some cellophane with a bow around the top, and you have yourself an easy and heartfelt holiday present for some of the people in your lives. Think teachers, mail carriers, hair stylists, and even your close friends and family. Who wouldn’t love to get a little Reindeer Bark in their gift bag this year? And it will help you not feel so stressed out when it comes to finding cute and quick little presents to hand out this year. It’s a win-win! This adorable Reindeer Bark is so simple to make. Get the kids in on the fun and make this Reindeer Bark Recipe together for the holidays. Line a large baking sheet with wax paper. Pour the 12 oz package of candy melts into a microwave safe dish. Heat in the microwave in 30 second increments, stirring occasionally until melted. Pour the melted chocolate out on the prepared baking sheet and use a large spoon or spatula to spray the chocolate to about 1/4" thick. 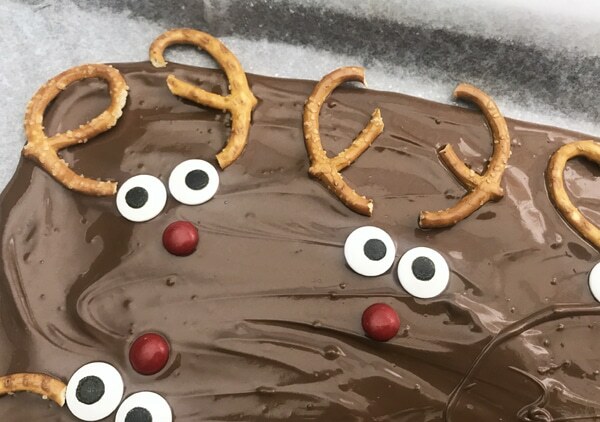 Once the chocolate is spread out, use the large candy eyes, red M&M and 2 pretzel twist halves to form 'reindeer' in the melted chocolate. Allow the chocolate to full set and then gently break apart the reindeer. Have a great holiday season and we bet that this Reindeer Bark Recipe is going to become a staple in your holiday baking schedule for years to come! Especially since it’s so quick and easy to add to the holiday table! Enjoy the upcoming holidays! My kids will love this! 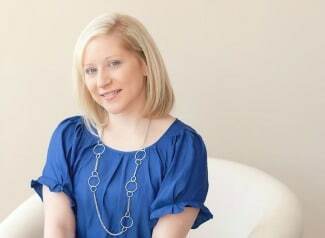 Thank you for sharing at The Really Crafty Link Party.